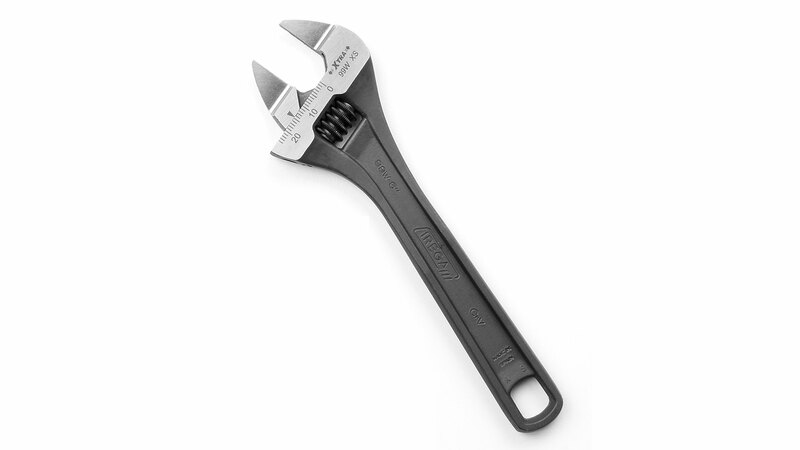 Adjustable wrenches have a rightful place in every toolbox if you only occasionally need to tighten or remove hexagonal bolts or nuts and if, moreover, the bolt size is unknown or likely to vary. 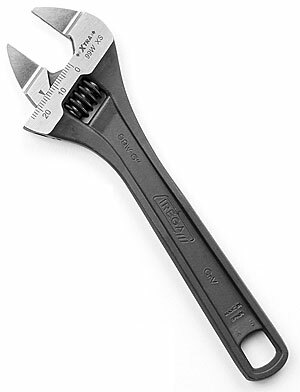 An adjustable wrench saves you the trouble of lugging around a whole set of open-end spanners. 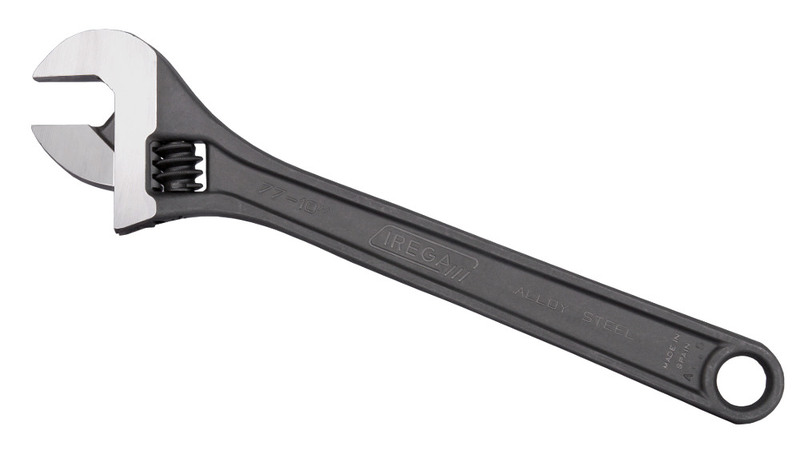 In view of this, we always specify the weight of the adjustable wrenches we have on offer. 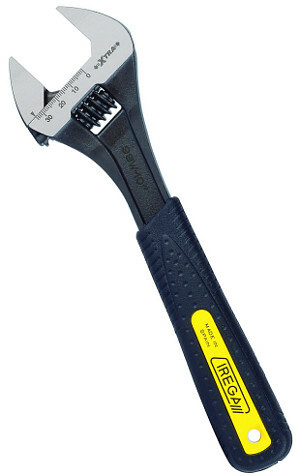 It is not always easy to find good-quality adjustable wrenches. 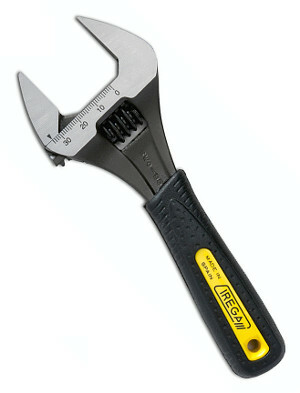 We have decided on products from the Spanish manufacturer IREGA. 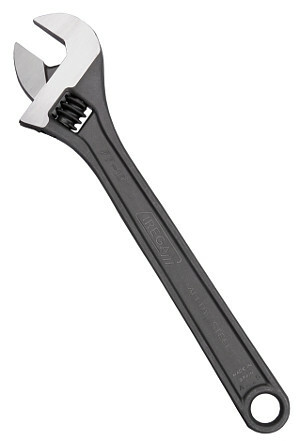 This manufacturer makes nothing but adjustable wrenches whose hallmarks are good workmanship and ease of operation. The surface is phosphated, not polished. 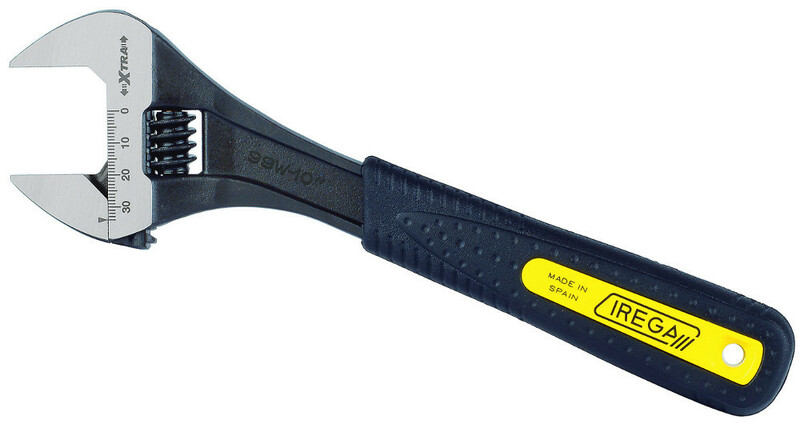 A phosphated rather than polished handle offers a better grip and some degree of corrosion protection. The ErgoTop models are supplied with an ergonomic, soft plastic grip. Standard model in industrial quality with a very attractive price-performance ratio! With an ergonomic, soft plastic grip for comfortable handling even at low temperatures. A scale indicates the jaw’s opening width. As above, but a short version for confined spaces. 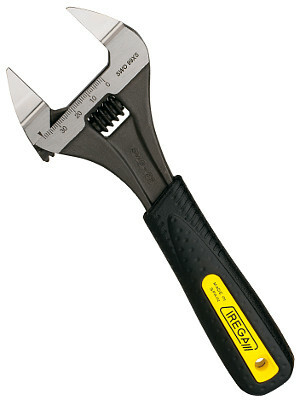 The wrench jaws are disproportionately large relative to the handle length. Short version for confined space as above, but with extra thin jaws. Slender model for otherwise inaccessible places. A jaw thickness of just 2.5 mm allows you to reach awkwardly positioned nuts.